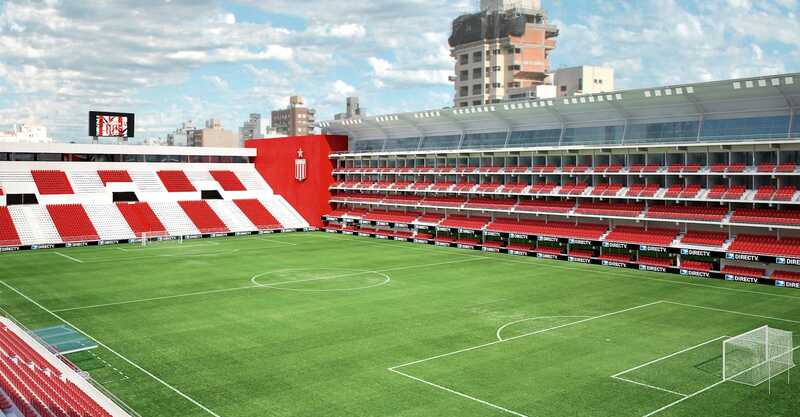 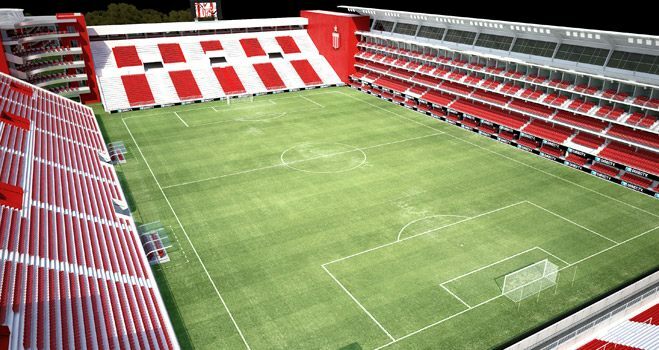 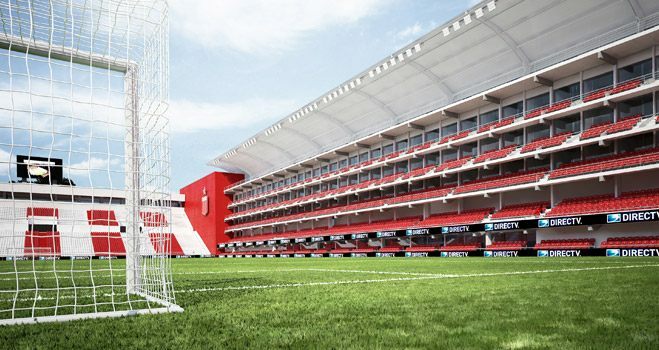 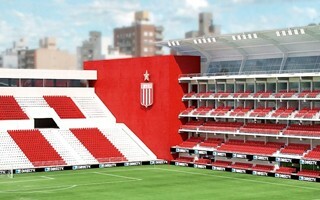 This stadium concept for Estudiantes La Plata, initially nicknamed Tierra de Campeones, envisages both remaining at the spiritual home and retaining the name of Estadio Jorge Luis Hirschi. 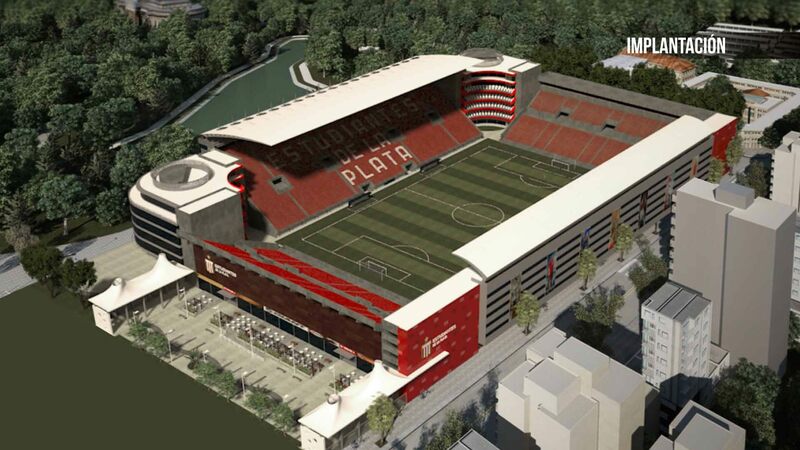 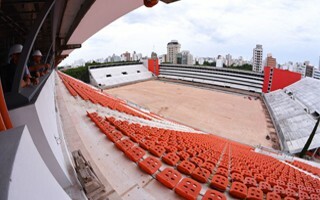 The place, occupied by Estudiantes since 1907, offers limited space for construction, thus the unusual stadium layout, but is also one of the prime spots throughout La Plata. 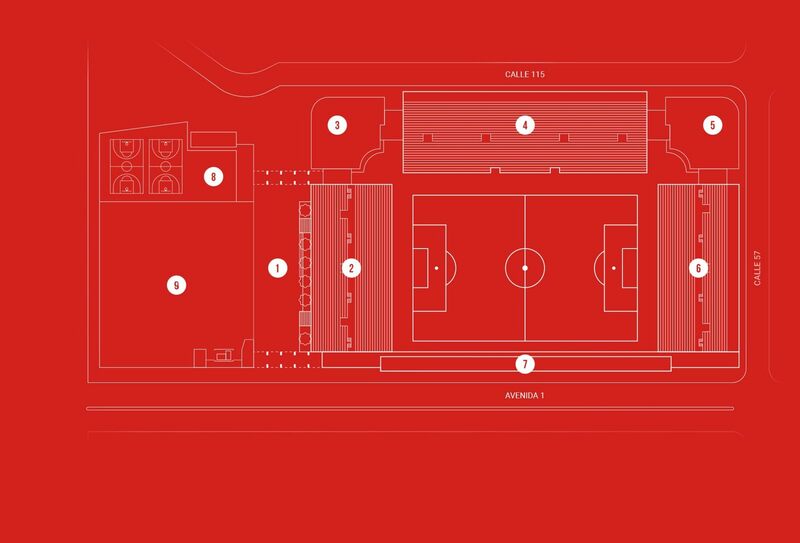 With extremely compromised west size, all infrastructure for players and media will be located on the east side. 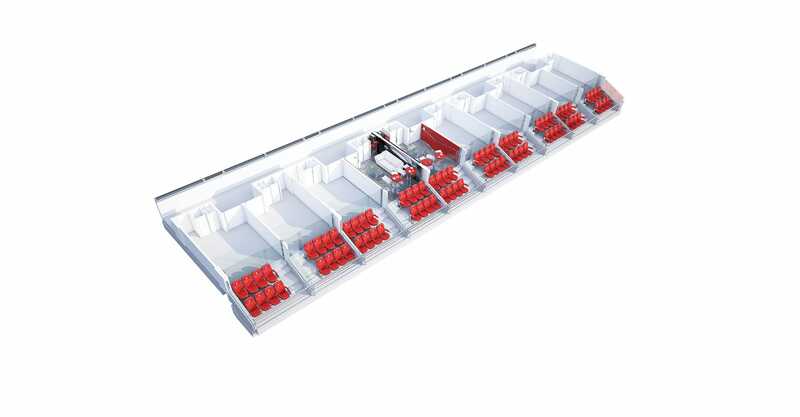 The west will only see a large pavilion for corporate clients with 120 private boxes and semi-open business sections spreading through 5 floors. 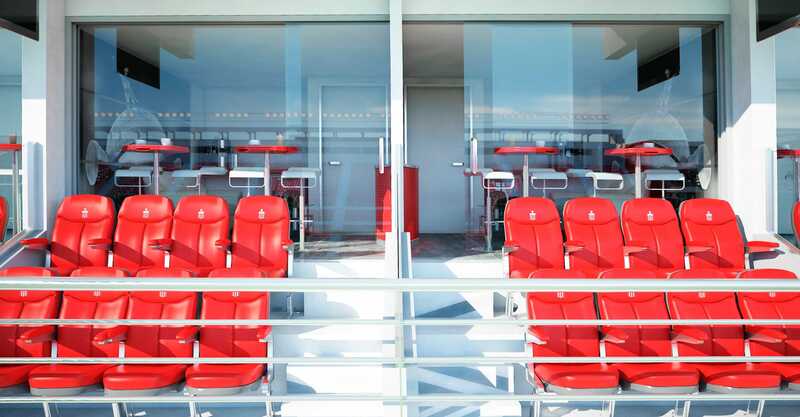 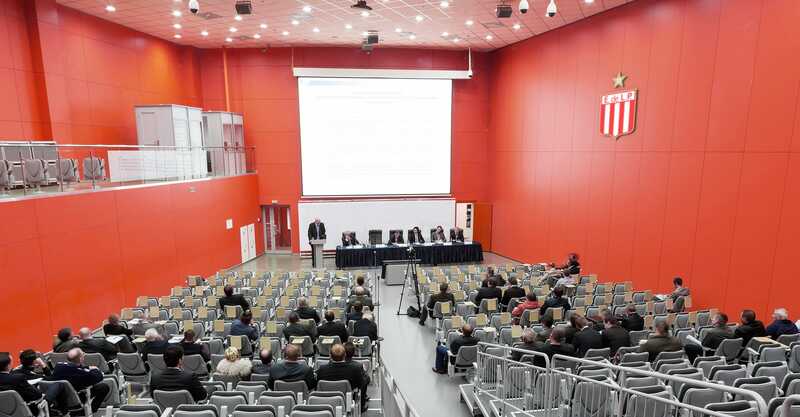 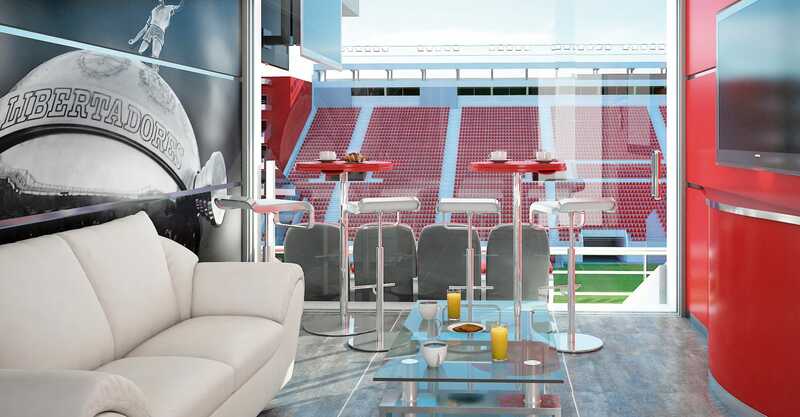 A total of 146 boxes are envisaged for the entire stadium, offering 2,807 business seats. 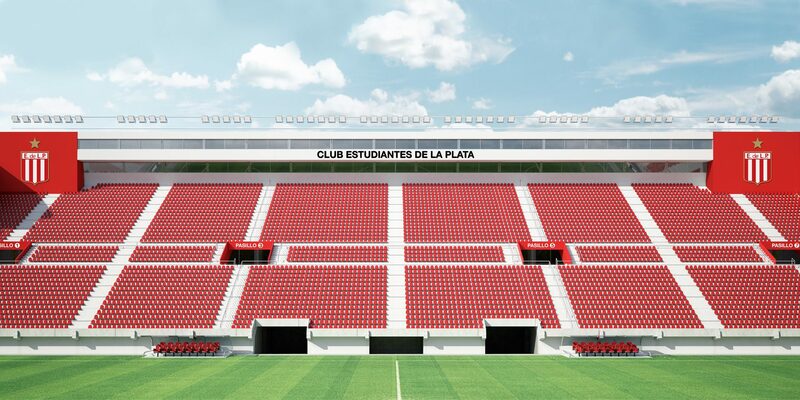 Behind the goals two vast terraces are planned. 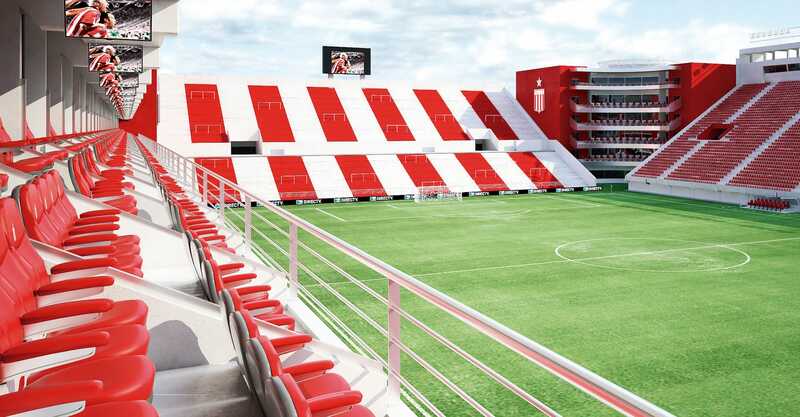 The larger one will be built behind the north end, accommodating over 9,000 most vocal fans. 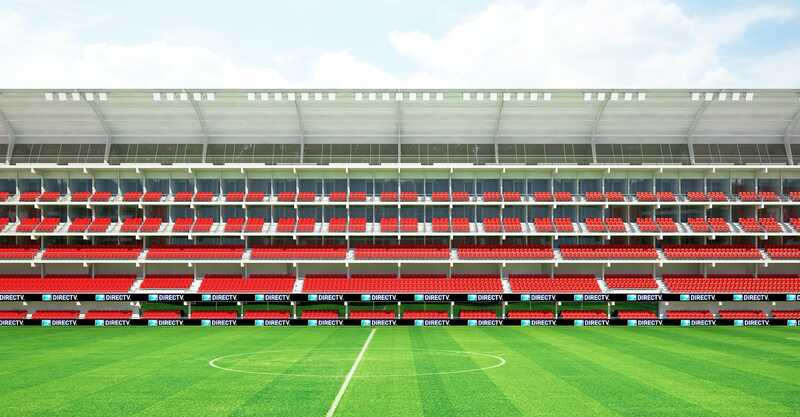 South end, with fewer rows, will offer just over 6,000 capacity. 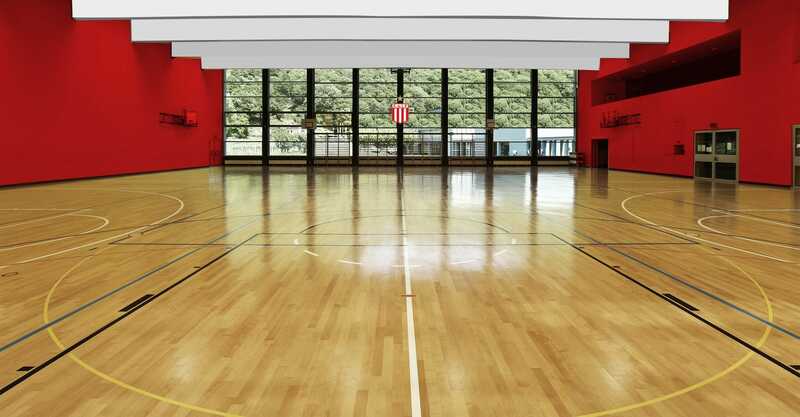 Both will also house significant infrastructure for sportsmen, though not necessarily football players. 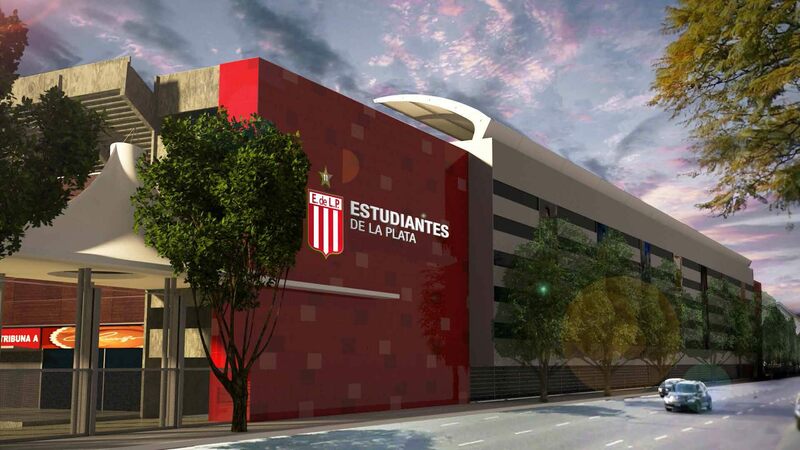 A large gymnasium is planned in the north, while swimming pools will be located under the south end. 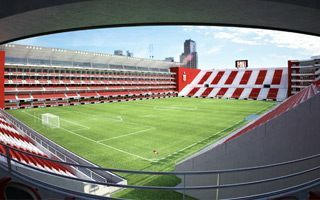 Designed by former club president Enrique Lombardi, the stadium has been reinvented several times, especially with numerous delays and interruptions forcing its construction to last 15 years at the very least. 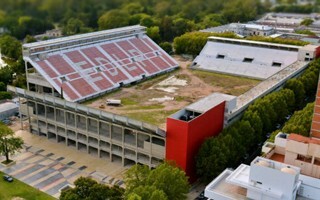 Current plan foresees opening in 2017 with no roof, but partial or even complete cover could be added on a later date. 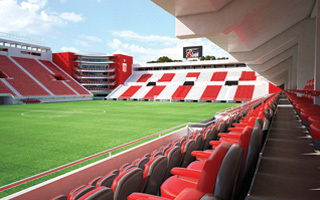 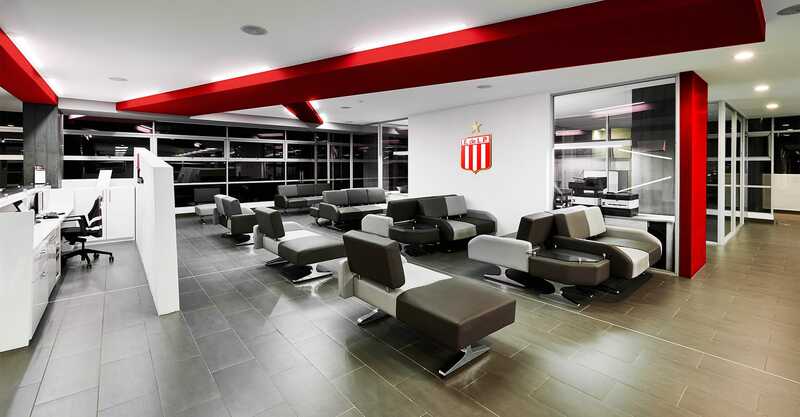 Interestingly, the stadium is expected to offer large surfaces of office space, totaling 15,000 m2. 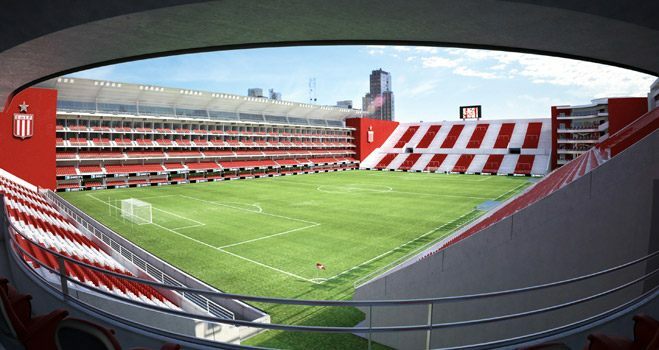 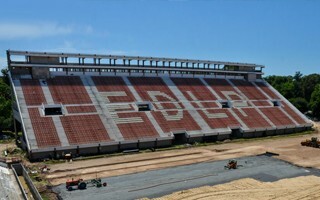 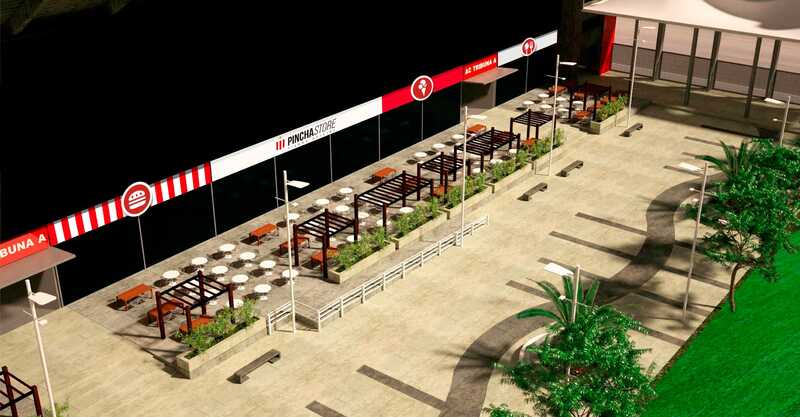 Much of it would be used by Estudiantes, but commercial lease is also planned.